Last week Crystal Cruises surprised the market with the news that it would send its 68,870-ton Crystal Serenity through the Northwest Passage in 2016. Last year the Danish cargo ship Nordic Orion ran from Vancouver across the Canadian Arctic with a cargo of coal for Pori, Finland, and this and other recent activity seem to have emboldened Crystal to try it for themselves. This is despite the fact that there have been times in the past when Ice Class ships have had to abandon their efforts and return from whence they came. Elsewhere, Norwegian Cruise Line has ordered two more Breakaway Plus class ships while there has been some more activity around Royal Caribbean’s shipping shareholders. Last week, in an announcement that surprised much of the trade, Crystal Cruises announced that it would attempt to transit the fabled Northwest Passage on a 32-day voyage that it has planned for 2016. What many did not appreciate so far is that the Crystal Serenity, although built in France, was actually completed to Ice Class 1C. Leaving Seward, Alaska, on Tuesday, August 16, the 1,090-berth 68,870-ton Crystal Serenity will try to reach New York by way of the Beaufort Sea, the Canadian Arctic Archipelago and Greenland, navigating a series of interconnected waterways far north of the Arctic Circle. The voyage has been in the planning for two years and at the end of this epic voyage, Crystal Serenity is due to arrive in New York on Saturday, September 17, 2016. In recent years, Canada’s Northwest Passage has seen many new operators come into play, but until 2013 with small ship of below 10,000 tons. The largest passenger ship to have done this so far is Compagnie du Ponant’s 10,944-ton Le Soléal last year. Only last year, the Danish bulk carrier Nordic Orion became the first large commercial ship to traverse Canada’s famed Northwest Passage, with a cargo of 73,000 tons metallurgical coal loaded at Vancouver and bound for Finland. This route saved her 1,000 miles and, because the Northwest Passage is deeper, also allowed her to carry 25% more cargo than she could normally carry through the Panama Canal. While the first commercial cargo ship did not transit the Northwest Passage until 2013, passenger ships have been doing it for thirty years now. 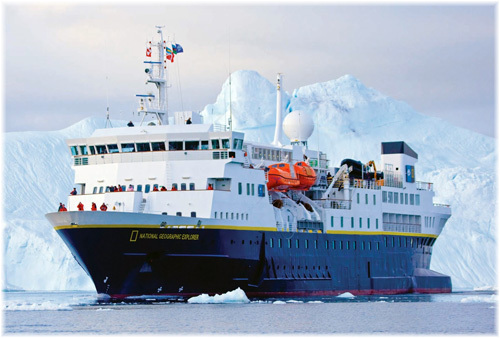 Lindblad Expeditions did it for the first time in 1984, with their 2,398-ton 104-berth Lindblad Explorer. After a career of thirty-eight years, this doughty little ship sank in Antarctica after holing herself on November 23, 2007, when she hit ice off King George Island near the South Shetlands. Arctic conditions can vary from year to year but the only problem she encountered was off the coast of northern Alaska, where fog and ice forced her to backtrack for ten hours, then sail closer inshore to escape the permanent polar ice shelf. Lindblad Expeditions is actually returning to the Northwest Passage just this year with its 6,417-ton National Geographic Explorer. Since 1984, a small number of expedition cruise ships have made the full transit, but nevertheless, from time to time, one of them has had to turn back because of ice conditions. In recent years, other ships have introduced partial transits of the eastern end of the passage that make only part of the full passage and then turn at Coppermine (Kugluktuk) or Cambridge Bay (Iqaluktuuttiaq) to return east. Transits are now offered by no fewer than six different operators, including Compagnie du Ponant (Le Soléal) from France, Hapag-Lloyd Cruises (Bremen and Hanseatic) from Germany, Lindblad Expeditions (National Geographic Explorer) from the US, Adventure Canada (Sea Adventurer) and One Ocean Expeditions (Akademik Ioffe), both from Canada, and Silversea Expeditions (Silver Explorer) from Monaco. More ships are scheduled to follow in 2015. Hapag-Lloyd, Ponant and Silversea transit the Northwest Passage to or from Nome, Alaska, or Anadyr, Siberia, while Adventure Canada, Lindblad and One Ocean turn at Coppermine or Cambridge Bay, at the western end of the Passage. In the summer of 2010, both of Hapag-Lloyd’s expedition ships, Bremen and Hanseatic, transited the full Northwest Passage, with one ship travelling in each direction. 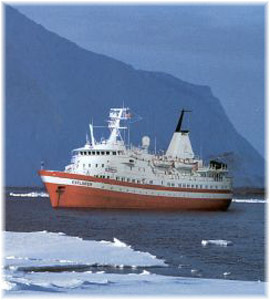 While the Bremen travelled from Nome to Reykjavik, the Hanseatic sailed in the opposite direction from Kangerlussuaq to Nome. During their cruises, the two made a rendezvous near Cambridge Bay. Last year, Hapag-Lloyd Cruises once again operated a two-ship transit, but this year the Hanseatic is sailing from Nome to Bodo in Norway over Russia’s Northern Searoute instead. 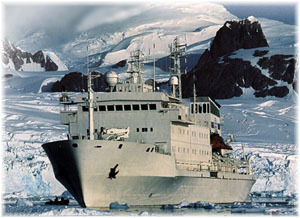 Also last week, Canadian-based One Ocean Expeditions announced that limited space was available on the Akademik Sergey Vavilov for a special cruise in search of Sir John Franklin’s HMS Erebus and HMS Terror, which were lost in the Arctic along with their 128 men in a mid-19th Century quest to find the Northwest Passage to the Orient. In partnership with the Royal Canadian Geographical Society, the W. Garfield Weston Foundation, Shell Canada and the Arctic Research Foundation, One Ocean Expeditions has been invited to participate in Parks Canada’s 2014 Victoria Strait Expedition to find those fabled ships. Trading as the One Ocean Voyager, the Vavilov will chart a course through the Northwest Passage serving as a platform for research equipment (Parks Canada dive boat and several autonomous underwater vehicles), scientists, sponsors and donors. This is the largest expedition yet to search for Franklin’s ships. The Canadian Coast Guard will provide an icebreaker, CCGS Sir Wifrid Laurier, the Royal Canadian Navy coastal defence ship HMCS Kingston, One Ocean Expeditions the Voyager and the Arctic Research Foundation the research vessel Martin Bergmann, each equipped with sophisticated search equipment. The expedition commences in Resolute on August 26 and a very small number of berths is available for interested clients to be aboard with a front row seat as we attempt to locate Franklin’s two ships, which had previously served in the Antarctic. One Ocean Voyager will sail from Halifax on August 15, carrying Canada’s autonomous underwater vehicle Arctic Explorer, equipped with a modern sonar system. More than 23 feet in length, the Arctic Explorer is a long-endurance vehicle that will produce high-resolution images of the seafloor over a greater range than previous sonar systems. If this expedition does succeed in locating a preserved HMS Erebus and HMS Terror in Arctic waters and Crystal Serenity succeeds in her 2016 attempt at the Northwest Passage, watch for the Arctic to become a more interesting space for cruising in future years. Last week saw the announcement that Norwegian Cruise Line now has four Breakaway-Plus ships on order at a cost of about $4 billion. The first, the 4,200-berth Norwegian Escape, is scheduled for delivery in October 2015, to be followed by Norwegian Bliss in spring 2017. The Breakaway-Plus ships will be slightly larger than the Norwegian Breakaway and Getaway, which accommodate 4,000 passengers and measure 146,000 tons. Meyer Werft of Papenburg is building all six ships. The two Breakaway-class ships are notable for their waterfront decks that house restaurants and several bars on their promenade decks. The Norwegian Breakaway has been based in New York since May 2013 and Norwegian Getaway has been Miami-based in February 2014. Together with MSC Cruises’ recent orders for two 4,140-berth “Seaside” class ships from Fincantieri and two 4,500-berth ships from STX France, along with options for more, the battle continues between Norwegian and MSC Cruises for third place after Carnival and Royal Caribbean. While it might appear that the battle in the 4,000-berth range has landed between these two carriers, it should be remembered that Royal Caribbean’s new “Quantum” class ships feature 4,180 berths each while the Carnival Vista, due in 2016, sports 4,000 berths. Haifa-based XT Management last year delivered two “Cap” class container ships, the Cap Campbell and Cap Capricorn, for charter to Hamburg-Süd, each ship equipped with a double owners cabin and two singles for passengers. 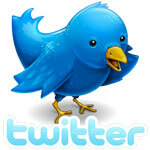 XT Management has almost sixty years of shipping background, having been formed in 1956 as Mediterranean Seaways. The company’s first ship was named Eyal, after Sammy Ofer’s son, now a director of Royal Caribbean Cruises. Earlier this month, Eyal Ofer was granted an honorary life membership in the Baltic Exchange in London. Now principal of the 130-ship Zodiac Group, one of London’s largest shipowners, the award was made for services to the London shipping markets and the UK ship register. The award is not without precedent as Eyal’s father Sammy gained the same award in 2009. Eyal has been an independent director of Royal Caribbean since 1995. Anders Wilhelmsen meanwhile, one of the founders of Royal Caribbean in 1968, has returned to tanker activity. After selling off three 150,000-ton tankers last year, its Awilhelmsen unit has placed an order for two 320,000-ton deadweight very large crude carriers for delivery late in 2016. The Transport Recovery Fund, owned by US investor Wilbur Ross, holds a half share in these ships. Awilhelmsen has a 19.1% shareholding in Royal Caribbean Cruises Ltd. Cruise activity accounted for fully 76.5% of Awilhelmsen’s profits in 2013. The company also has a third interest in five LNG carriers and a stake in Awilco Drilling. How many passengers cruising on Royal Caribbean, Celebrity, Azamara, Pullmantur and Croisières de France, are conscious of a large fleet of container ships, bulk carriers and tankers with which Royal Caribbean has some kind of connection through its shareholders?